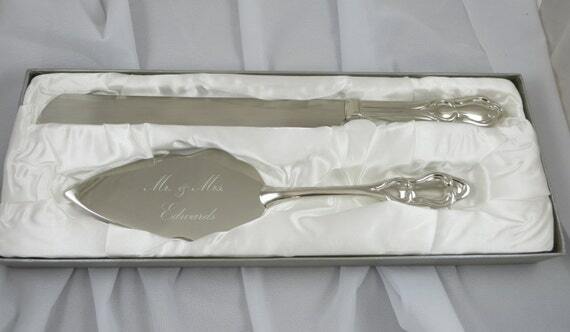 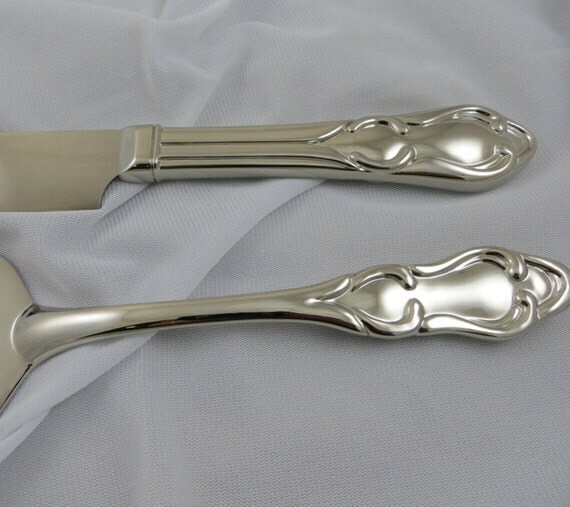 Wedding Cake Server and Knife Set . 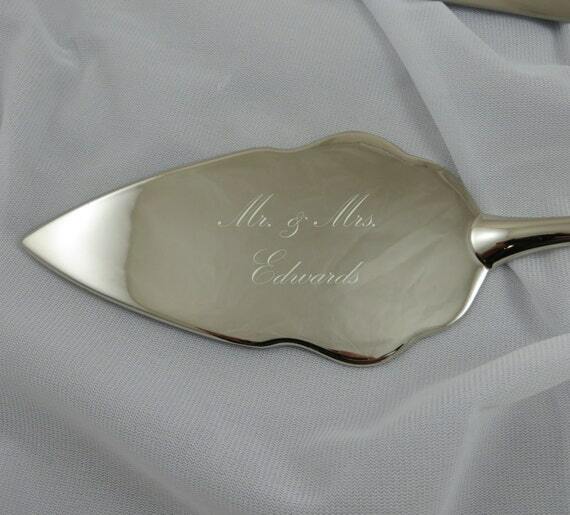 Personalize that special moment with your choice of two lines of text on the item of your choice. 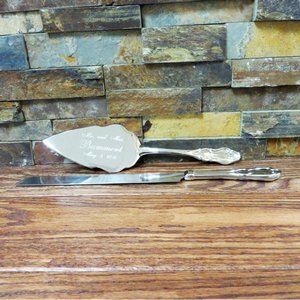 Cake knife measures 14" long and cake server measures 11 1/2" long.